CHANGE OF DATE - RE-SCHEDULED FROM 1ST FEBRUARY. 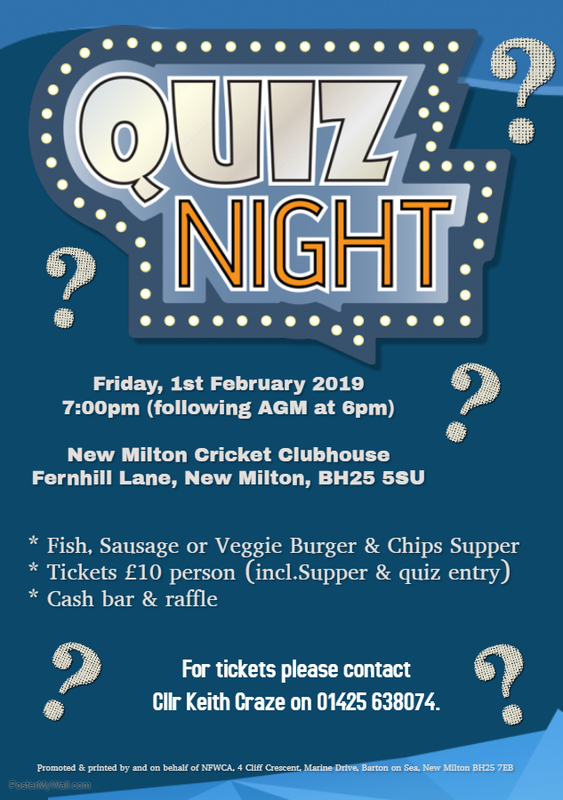 Please come along to Barton & Becton Conservatives Quiz Night & Supper being held immediately following the AGM at New Milton Cricket Clubhouse, Fernhill Lane, New Milton, BH25 5SU. For tickets please contact Cllr Keith Craze on 01425 638074 by 31st January 2019 at the latest.